While I do spend all my day here at a computer, typing online, I am not a "computer guy," nor do I play one on TV. Computers are magic boxes filled with gnomes and elves. Most of the time, they do their job. Sometimes they go on a coffee break and things don't work right (for what seems like no reason at all, to us on the outside of the box that can't see the gnomes and elves sipping on coffee). And then, when break's over, they go back to work (again, seemingly for no reason at all to the rest of us). 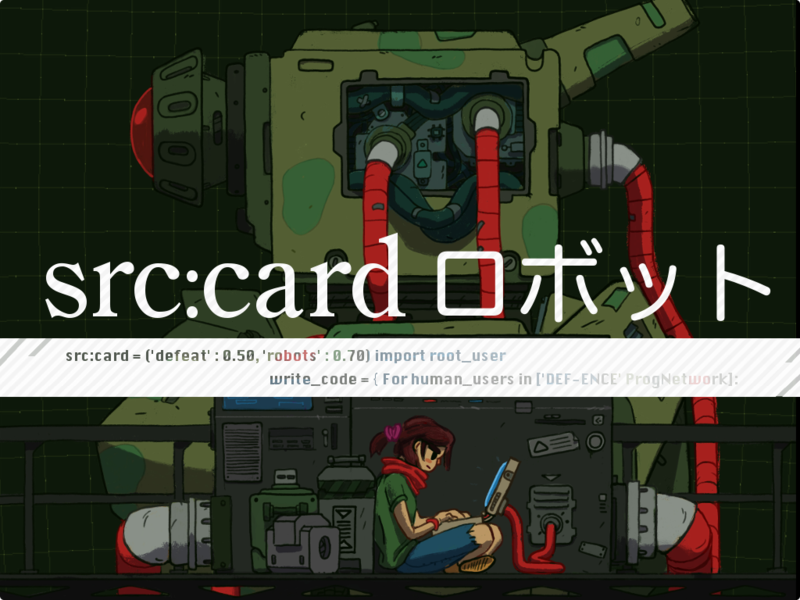 So when it comes to programming things, the closest I can get is stuff like Src:Code, the robot-programming and computer-hacking card game that's up on Kickstarter now. During the game, players are trying to build their ultimate robot warrior. However, just like everything these days (it seems), those robots are vulnerable to hacking by outside sources. In this case, those sources are the other players. It's a race between you and your opponents to both build your ultimate bot and hack your opponent's. You have different tools at your disposal for both goals, in the form of the cards in your hand. If you manage to "boot up" your robot and your opponent can't hack it, you win! Otherwise, it's back to the drawing board. The campaign is running now and is set to go for another 36 days.